To paraphrase a line from Christopher Nolan’s Inception, an idea is the most infectious thing in the world. Inception is the first imaginative, original idea to hit theaters this year. It is the sort of thing that will infect pop culture and be parodied and talked about for months. Ditch those Twilight boys. Blow off that bender of air. Lay down arms with those relentless Predators. Heck, even Toy Story 3, with all its poignant adolescent melancholy, suffers from familiarity by comparison. Inception is not a sequel, remake, or adaptation of some bestseller’s list series of novels or iconic TV show. It is an idea that is derived from nothing but Nolan’s brilliant mind. It's an idea that's been brought up to me time and time again. I finally took it seriously. If you're a regular reader of this movie blog then you probably enjoy movies about as much as I do. It's time you, me, and those other two readers got together in one place. What: Three movies, with brief discussions after each. And food. 2p: True Grit, starring John Wayne as Rooster Cogburn. 2hrs. 8mins. 4:30p: Let The Right One In, the Swedish sensation that rocked the world. 2hrs. 7p: Zombieland, starring Woody Harrelson, Abigail Breslin, Emma Stone, Jesse Eisenburg... and BM. 1hr. 21mins. Try to contact me if you're planning to participate, so I can prepare for your presence (see what I did there?). The Predator, that other alien that has become a thing of sci-fi and comic book cult geekdom over the years, has returned to theaters to reload its own franchise. It’s been a staggering twenty years since the last Predator film. Predator 2, starring Danny Glover as a cop who seems to go one desperately belligerent step further than those action junkies in Hot Fuzz, took what was great about its predecessor and cranked it up to moronic levels, resulting in the proper franchise’s dormancy (those Alien Vs. Predator films were a tangent – and not a very good one). Predators brings us back to where it all began… sort of. I can say that truthfully having suffered through over 1,300 pages of poorly-written, insufferable whining and self-absorbed melodrama that runs throughout the Twilight series. So abundant were my problems with the novels that I could not bring myself to finish the third entry, Eclipse. There are those whose hate is so immense that the mere mention of Twilight is met with a hiss as though it were garlic or some religious relic (even if they’ve never read any of the books). I am not among them, although I can relate to some of their reasons. While I may have finally shrugged off the novels, having opened myself to so much of the series I am unable to resist the curiosity of seeing how the films fare. I’ve watched each movie optimistically, hoping for someone to come along and make something decent out of the source. 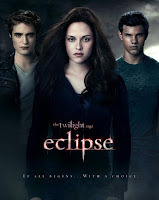 Twilight was abbreviated fan-service that skimmed over the interesting parts of the novel; more a product than an actual film.